Spider-Man Archives - HGR Inc. 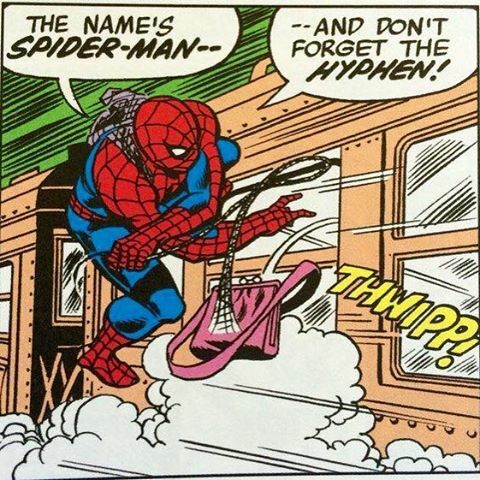 Even worse than commas and apostrophes, hyphens are a punctuation mark that most people forget to use. You do need to use them in some numbers, between some adjectives and nouns, and after prefixes. Here’s the low down on when! The five-story house or The house has five stories. An eight-hour work day or He works eight hours per day. The 10-year-old boy rode his bicycle or The bicycle rider is 10 years old. You can find the information that you need on pages 5-8. He is a long-term employee or He has worked here long term. She has a much-admired work ethic. I want to re-read the book. Her ex-landlord returned the deposit. He had a mullet in the mid-1980s. I’m enjoying this spring-like weather.